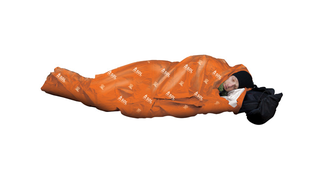 The problem with the emergency bivvy sacks made of the heat-reflective space blanket material is that while they provide warmth, they don't let moisture escape. Thus, you sweat. But a new material in AMK's SOL Escape bivvy changes that.